This election season has bore no surprises for me. I’ve scrolled through Twitter and Facebook, looked at texts from family without bothering to reply, scanned panicked emails. “Trump’s going to come after women,” people would say in horrified whispers while I gestured at the worn cloak of subjugated Black womanhood they had forced on me my entire life. “He’s coming for Muslims,” they would add, while extending sympathy only towards Muslims who had come close to achieving whiteness in this country. The whispers and the frantic urgency that took over everyone’s spirit was a restless animal that I had been born with the knowledge to trap. The constant inquiries from those who expected me to be in a panic were met with disillusioned stares and small shrugs while I turned back to the strategies of resistance that are legacies of my people. It’s hard to be surprised by Trump’s violent rhetoric when every segment of my identity made me a target for society. It’s why I watched the proceedings of the Women’s March with thinly veiled disinterest and couldn’t bother to celebrate the turn out, because where were those same people when my friends and I had to shoulder the burden of multiple occupations? The lack of intersectional interest was clear, sponsored by the very presence of the women who had shown out. I didn’t bother to watch any of the speeches that were made until my friend pulled up one made by a national co-chair of the Women’s March, Linda Sarsour. In her speech, Sarsour clearly intended to represent the Muslim demographic, but looking at her didn’t bring me any connection. “Many of our communities, including mine, the Muslim community, have been suffering in silence for the past 15 years,” Sarsour said. She continued on to speak of the Muslim registry and Islamophobia as if it had only existed within the past two decades, lauded by the Bush and Obama administration. So consider this an open letter to Linda Sarsour, to everyone whose sudden interest in Islamophobia only exists because of their performative hatred of Trump, and to everyone who brushes over the ways it manifested before. Consider it a history lesson, because I’ve run out of patience to listen to people blunder along in their analysis pretending America’s hostile attitude towards Islam only began within my lifetime. Did you know the first Muslims in America were Black? Do you understand what I mean by telling you the first Muslims in America were Black? It’s not a controversial statement. 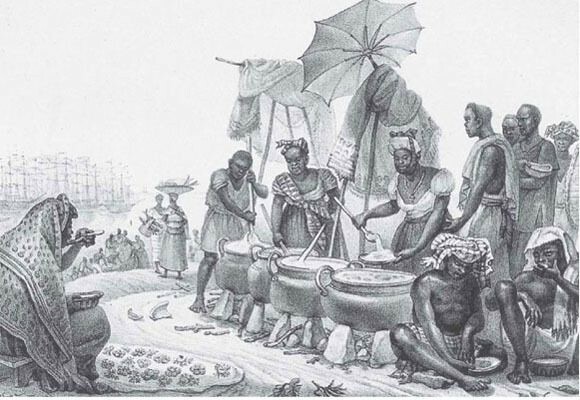 Within the population of enslaved Africans who were brought to North America, historians estimate between 20 — 30% of them were Muslim. It’s important to repeat and understand that as more than an abstract statistic that happened a long time ago. The fact that such a sizable percentage of enslaved Africans were Muslim should warrant pause and make people uncomfortable with their current praxis. But, as showcased by the Women’s March, even people aware of this fact remain comfortable in their dissonance. When they are reminded, they smile and nod, assuming their own comprehension where it doesn’t exist. Within the current political climate, they operate as if American Islam has two distinct starting points. The first begins with the arrival of enslaved Africans and ends at the point where Islam was assumed to be removed completely. The second, marking the beginning of an American Muslim identity, begins with the arrival of Arab immigrant Muslims. This understanding relies on a simplification of history. Not only is there an assumption of total religious conversion, but it ignores how customs and philosophies of faith influence people’s lives, regardless of whether they are able to practice. It credits Arab Muslims with revitalizing the faith after it was lost by Black people and assumes those first Muslims existed in a vacuum. They’re assumed incapable of leaving behind ancestors who carried on part of the tradition or who were Muslim themselves. Dangerously, it leaves a gap of history where anything that took place has no weight in the creation of an American Muslim identity. Despite the fact that total religious conversion did not occur within enslaved African Muslim populations, this understanding dismisses the existence of Sunni Black American Muslim communities and the proto-Islamic institutions (such as the Moorish Science Temple of America founded in 1913 and the Nation of Islam founded in 1930) they existed beside. It assumes every Black American is new to Islam, ignoring how our legacies are tangled within it. Understanding American Islam as beginning with Arab immigrants ignores the reality of an indigenous Black perspective that rebuilt Islam separated from outside influence. It allows for previous, systemic attacks against whoever the government interpreted as Black and Muslim to be ignored and for Islamophobia’s antiblack roots to be hidden. 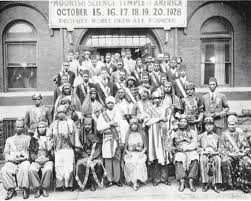 Example of a promo-Islamic institution, the Moorish Science Temple of America. Pictured in Chicago, October of 1928. The reality of the first Muslims in America being Black isn’t brought up to stake a claim, but to serve as a reminder. When focusing discourse surrounding Islamophobia within non-black communities and speaking only of individual encounters, we ignore the targeting of Black “radical” Muslims within liberation movements and federally funded surveillance projects that the government is mimicking today. When Muslims are spoken as if they have always been racialized as brown, we ignore the history that describes when American media moved from their fear of Black American Muslims and why that switch was made. When political quietism is promoted to silence Black Muslims, we blame an entire community for a long history of their own oppression while ignoring Blackness’ roots as a political identity and the ways Black Americans have built it into their theology. Recognizing the full arch of Islamic history and the development of an American Muslim identity requires people to locate and confront biases that have been internalized within a false context propagated as truth. It requires theology to be reexamined within a Black framework and to understand how our history doesn’t allow us to remove ourselves from politics. It requires threads to be drawn and the gap between the arrival of enslaved African Muslims and Arab immigrants to be rewoven into the Muslim narrative. The job itself is easy, because it’s not as if this history requires discovery. We have it mounted on our walls and captured in photographs. It was passed down by our elders while we sat between their legs, hair braided by hands heavy with their own legacies. We have it in old news clips targeting Black “radicals” for their traditions and faith. The texts, politics, and liberation worship of Black Americans influenced Muslim communities, even though recognition is nowhere to be found. The current construct of an American Muslim identity relies heavily on dissonance and leaves all Black Muslims vulnerable to systemic Islamophobia. With Trump’s recent inauguration, we see people pledging to register themselves as Muslim in solidarity, ignoring that Muslim registries existed within the Obama administration. In Minneapolis, the government entrapment program targeting Somali-Muslims, Countering Violent Extremism, echoes the work of COINTELPro in Black (Muslim) communities. And, yet, there is no registry set up in solidarity; no mass protest or national cries. Instead, national solidarity is only extended to non-black Muslims while supporting a constant separation of Islam from Blackness. Black American history needs to be understood not just as belonging, but as a foundation of an identity that ultimately began with the subjugation and oppression of African Muslims woven into the original drafts of this nation. Black Americans cultivated Islam within this country and faced persecution that we see recreated today. 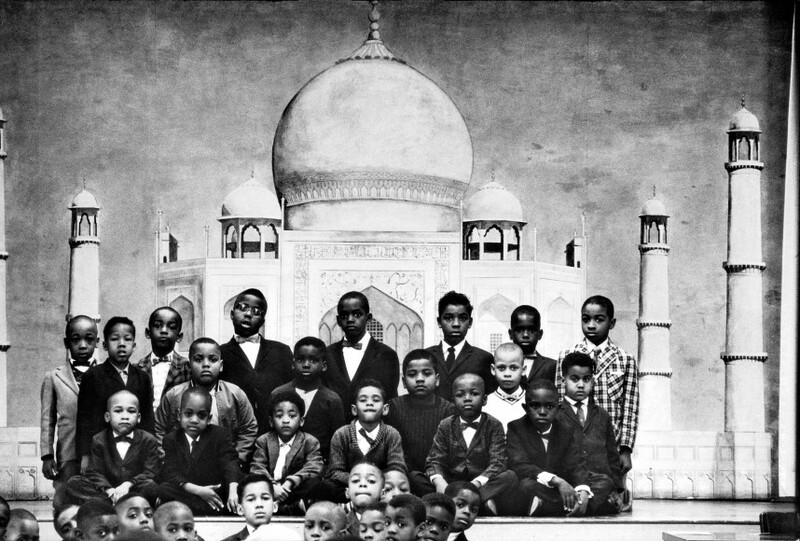 When the dissonance is conquered, and the American Muslim identity is fully acknowledged as being birthed into the hands of people cradling their children in sun worn scraps of tradition, swaddled in resilience, and nursed through protests, then we will fully understand what it means to say the first Muslims in America were Black. If you’ve made it here, please click the heart. Y’all can find me on my Twitter anytime. As your local, unfriendly BA Muslim, if you want to extend a hand in solidarity versus building this trash registry, my wallet gives her thanks. I can be contacted directly by email at inquiries.taylorv@gmail.com. Vanessa Taylor is based in Philadelphia. She has work in outlets such as Teen Vogue, Racked, and Catapult Magazine. Follow her across social media @bacontribe.